I went to Nihonbashi in Tokyo to see my friend. 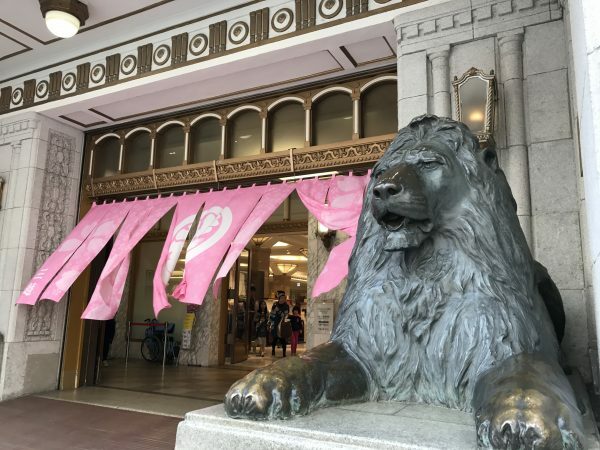 I’d like to share my experience with you because I really recommend these places at Nihonbashi. 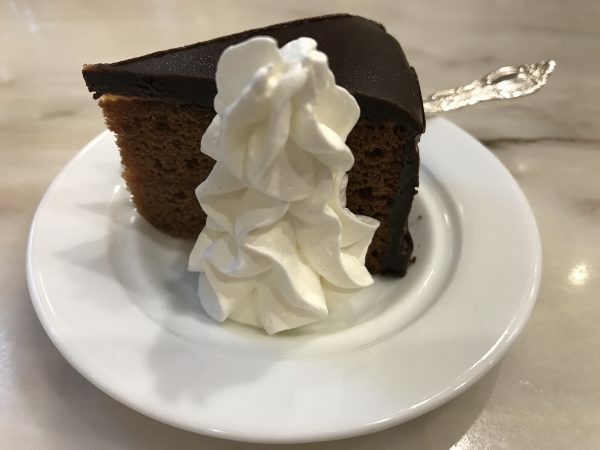 I love this sachertorte very much. I think this is the best in Japan. 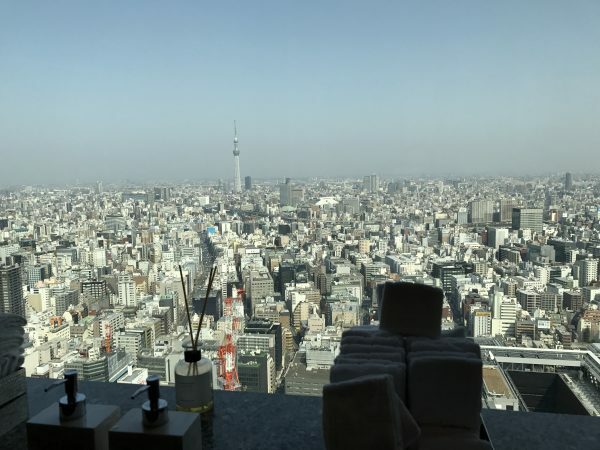 I didn’t know why I wanted to take my friend to the Mandarin Hotel’s restroom. The view from the 38th floor was stunning. We could see SKYTREE in the tall buildings. We went to COREDO Muromachi and were looking for good cafe. We decided to go to “Funabashiya”. We both like Kuzu-mochi. Especially, I like Funabashiya’s. 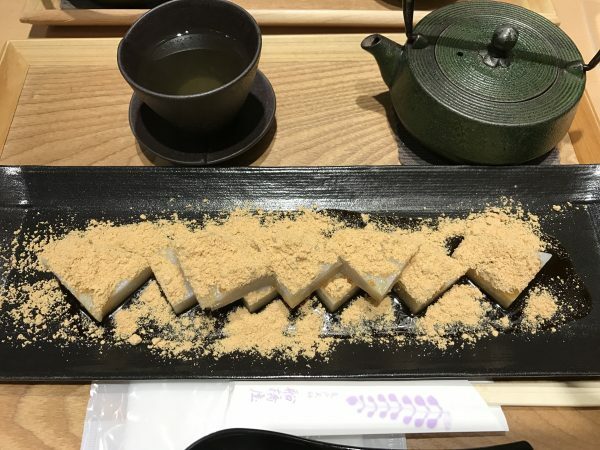 Kuzumochi is a Japanese confection which is made from steamed wheat starch which has been fermented in lactic acid for 15 months. It was so good. We devoured them in no time. When I was paying the bill, a customer came into the shop and ordered some ohagimochi for take out, besides me. I glanced at the customer. Oh! He was my cousin who lives in Tokyo! What a coincidence! I visited Nihonbashi only once a year or less, because I am living in Osaka now. What a surprise to run into him! It seems like our family shares the same taste for good food.